The majority of home equity lines of credit (HELOC) were originated at the peak of the home equity boom between 2004 and 2006, so the concern now is the oncoming wave of defaults when the estimated $190 billion in HELOC loans reset between the fourth quarter and 2017. The fear is that payment shock will not only cause a wave of defaults, but that it also may impact bank balance sheets and the mortgage markets where HELOCs are concentrated. Unlike the first-lien market when banks sold off most of the credit risk, more than 85% or $580 billion worth of HELOC loans are on bank balance sheets, and nearly 50%of them are located in California, Florida and New York. So, should the market brace itself for the big storm of the reset, or are the fears unfounded? The surge in mortgage debt during the mid-2000s was partly fueled by an increase in HELOC loans as borrowers took advantage of the rapid run-up in home prices to extract equity. Borrowers tapped home equity to supplement their incomes to provide an additional source of liquidity. Part of the reason for the soaring popularity of HELOCs was that unlike the first-lien mortgage market, which is composed primarily of fully amortizing loans, HELOC loans were typically originated as 10-year, interest-only loans that switch to fully amortizing loans after a decade. At the end of the interest-only period, borrowers would experience a payment shock as they then had to pay back both interest and principal. To examine the issue, Corelogic analyzed the 10-year reset performance of 1.8 million HELOC originations between 2001 and 2004 using the CoreLogic TrueStandings Home Equity Database. The 2003 and 2004 vintages had an average pre-reset monthly payment of $105 dollars, and after the reset, the monthly payment jumped to $229, an increase of $124 or 119%. Not surprisingly, the sudden increase in the monthly payment led to a spike in the 60+ delinquency rate for 2001 to 2004 vintages once they surpassed the 10-year reset mark. The average 60+ delinquency rate in the three months prior to the reset was 0.95%, but 12 months later it rose to 4.3%, a four-fold increase. These vintages serve as a guide to how the 2005 and 2006 vintages could perform once they hit the 10-year reset period in 2015 and 2016. Given that these later vintages had a material increase in delinquencies much earlier than prior 2001 to 2004 vintages, it is possible that the borrowers with weaker credits have already defaulted and, therefore, the payment shock may not lead to a spike in defaults as large as in the past. At the point of reset, the increase in the 60+ day delinquency rate is high. Clearly, payment shock is one of the reasons for that, but the rate is also driven by two other factors: the rise in the number of 60+ day delinquencies and the decline in the number of loans outstanding. In other words, the delinquency rate rises because the number of delinquent loans (numerator) grows while the number of active loans (denominator) shrinks. Payment shock not only drives delinquencies higher, but it also leads to a large number of prepayments by many borrowers who simply decide to pay off the loan, magnifying the rise in the delinquency rate all things equal. Click here to view Corelogic's data. This reflects the fact that 27% of all HELOC borrowers have open lines of credit, but very low balances (10% of the full line amount or less) and some of these borrowers pre-pay. This means there is some adverse selection and borrowers that remain past the 10-year mark may have a weaker financial profile than the typical HELOC borrower. Deconstructing the driver of the rise in the rate due to the actual rise in the delinquency rate versus the increase in voluntary pre-payment reveals that a quarter of the rise in the delinquency rate is due to the pre-payment increase (i.e., when the denominator declines due to the reset). What will the impact of the payment shock be on the broader market? It is expected that the impact will be minor for a few reasons. First, the size of the $190 billion reset is very small relative to the $9.9 trillion mortgage market. Second, 25% of HELOCs are in the first-lien position, meaning there is no other associated debt. Third, the major dual triggers of default, negative equity and unemployment are improving. The negative equity share for first liens with a home equity loan is 22%, well below the 36% rate four years ago, and it is rapidly improving. The unemployment rate in 2010 was more than 9%, but it has since declined to under 6 percent. Adjusting for the first-lien position and negative equity means that the HELOC exposure shrinks from $190 billion to $31 billion. While the spike in defaults at the 10-year mark certainly is an issue for those borrowers experiencing the reset, from a macro perspective the impact will not be a wave, but small ripples. From a policy perspective, the Consumer Financial Protection Bureau’s ability-to-repay rule that bans interest-only loans does not apply to HELOCs. This begs the question, why didn’t policy makers include a provision for HELOCs given their role in driving up mortgage debt? A more sensible approach for HELOC products would be to provide incentives for fully amortizing loans that do not lead to payment shock down the road. 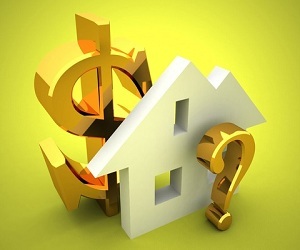 A larger issue also remains; the mortgage market is the only insurance market where borrowers can increase their leverage and risk via a home equity loan, but the first lien is not re-priced to reflect the additional marginal risk. If the re-pricing and interest-only features of home equity are addressed, it would lead to better and more stable outcomes for the mortgage market.